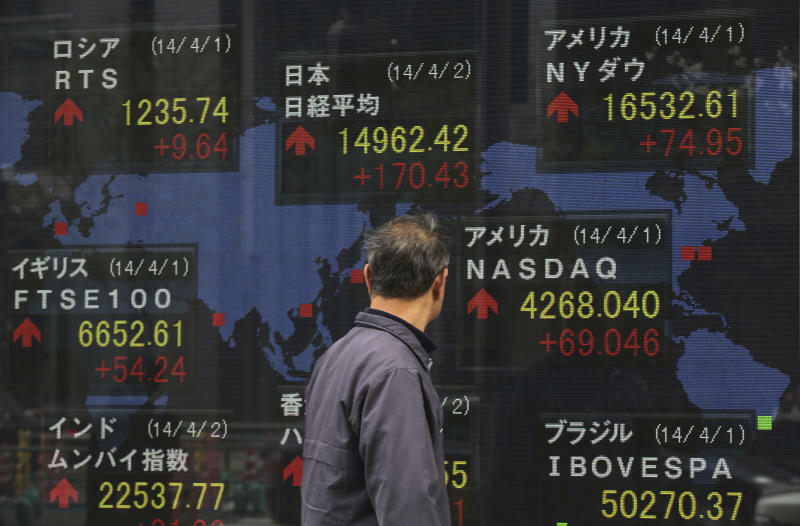 TOKYO (AP) — Asian shares were mostly higher Thursday, extending a global advance fueled by stimulus measures in China and evidence of stronger U.S. hiring. 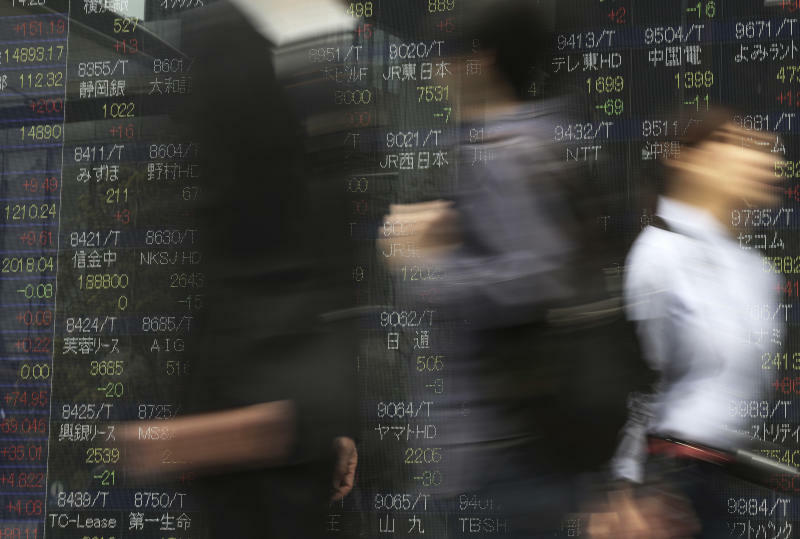 Tokyo's Nikkei 225 stock index rose 0.8 percent to 15,071.88, helped by the weaker yen and buying of automakers and machine manufacturers such as industrial robot maker Fanuc Corp.
Hong Kong shares rose on news that China plans new stimulus to help shore up slowing growth, drawing investors to railways and construction-related shares. China's State Council, or cabinet, pledged to do more to support companies, expand consumer demand and create jobs. The moves include increased railway investments and an easing of controls on property dealings in some cities. Hong Kong's Hang Seng rose 0.2 percent to 22,572.83 though Shanghai's Composite Index fell 1 percent to 2,039.06. In mainland China, worries over tightening liquidity and a possible restart of initial public offerings are weighing on sentiment, especially for blue chip "A-shares," said Jackson Wong, a vice president at Tanrich Securities in Hong Kong. "They haven't rolled anything out to boost A-shares. They're still worried about IPOs. They've got their own problems," Wong said. 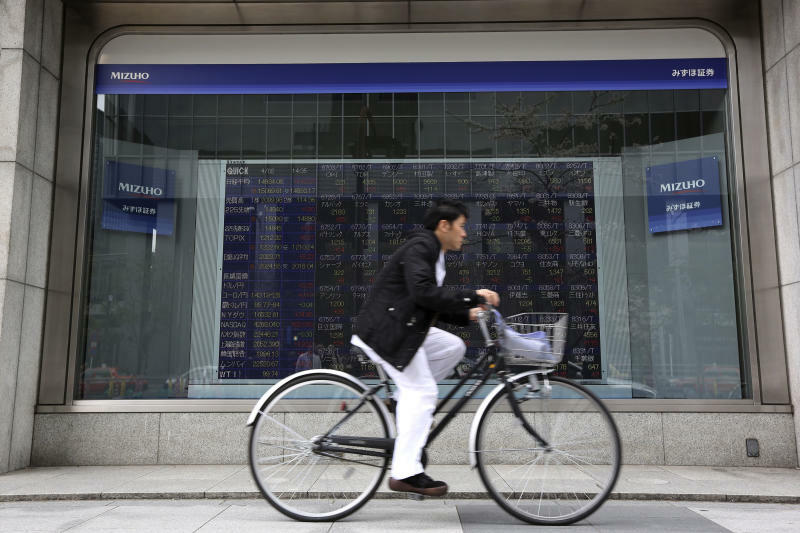 South Korea's Kospi gave up early gains to edge 0.1 percent lower to 1,994.83 following the release of a central bank survey outlining banks' concerns over rising household debt risks. Elsewhere in Asia, shares rose in Singapore, New Zealand, Australia, Indonesia, Malaysia and the Philippines, but fell in India and Taiwan. On Wednesday, U.S. stocks gained for a fourth straight day after a report on hiring reinforced confidence the economy is emerging from a winter slump. The private survey that showed that U.S. companies increased hiring at a rapid pace last month after a strong manufacturing survey a day earlier. The Dow Jones industrial average rose 40.39 points, or 0.2 percent, to 16,573 while the S&P 500 added 5.38 points, or 0.3 percent, to 1,890.90. In currencies, the euro fell to $1.3761 from $1.3768 late Wednesday. The dollar rose to 103.90 yen from 103.87 yen. Benchmark U.S. crude for May delivery was down 18 cents at $99.44 a barrel in electronic trading on the New York Mercantile Exchange. It closed Wednesday at $99.62, down 12 cents.